Gracie is a 3-year-old, 48.6-pound fun-loving dog ready for adoption at the Champaign County Animal Welfare League. Louis, a one-year-old Pomeranian, is interviewing potential owners at Barely Used Pets. Trish, age 4 1/2 years old, is a quiet sort, but likes attention and is quite ready for a home of her own. Visit her at PAWS Animal Shelter. This is Louis, a one-year-old neutered male Pomeranian. He is house trained, leash trained and loves people. He knows “sit” and “nice to meet you” (he will shake) and needs loving all the time. Louis is up to date on all vaccinations. His adoption fee is $150, which includes his 2019 dog license. We are selling the 2019 Champaign County Dog Tags. Barely Used Pets is collecting funds for dog kennel replacement. Eight of the facility’s kennels need replaced, at a cost of $360 per kennel. To make a donation toward this project, call and stop by or mail a check to Barely Used Pets at 844 Jackson Hill Rd., Urbana, OH, 43078. Meet Trish, a beautiful 4 1/2-year-old female domestic short-haired cat in our cattery room. She’s pretty quiet and likes to be petted. Trish gets along with the other cats, but she wouldn’t mind being the queen of her castle. She’s been here at the shelter for two-and-a-half years, came in with babies and watched them all find homes. She is waiting for her fur-ever family to come find her. She is spayed and up to date on her vaccines. Come meet her today. PAWS is located at 1535 W. U.S. Route 36, just west of Urbana. Contact PAWS at 937-653-6233 or pawsurbana@hotmail.com for information about volunteer opportunities and donation needs. Hours are Tuesday thru Friday noon to 5 p.m. and Saturday noon to 4 p.m. All PAWS cats and kittens may be found on Petfinder.com and see www.facebook.com/paws.urbana. 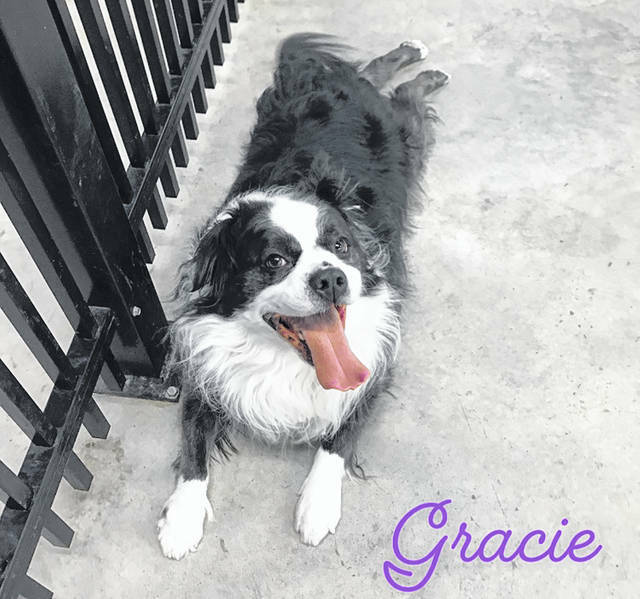 The Champaign County Animal Welfare League (CCAWL) presents this week’s “dog of the week,” Gracie, a 3-year-old Boston Terrier/Border Collie mix weighing 48.6 pounds. Gracie came to us due to her owner’s failing health. She is a very spunky, outgoing, loving girl who knows her simple commands. Gracie is good with other dogs, house-trained and will be cat tested if needed. Gracie is spayed, microchipped and current on all vaccinations: Da2PPL, Bordetella, Bivalent Flu and Rabies. She is current on flea and heartworm prevention, dewormed and heartworm tested negative. If looking for a smart, loving, fun dog companion, Gracie would be a great choice! 2019 memberships are available! Members have access to an indoor dog park, fully stocked grooming area, agility courses, walking trails and petting zoo areas. For more details, call 937-834-5236 or stop out and take a tour of our Campus. Potential adopters must have an approved application, which can be found at www.champaigncoanimalwelfareleague.com or pick one up at our facility during business hours. For canine listings, check out adoptapet.com and petfinder.com. All adoptable puppies/dogs are available for $165. Lower rates apply for Senior Dogs. This fee covers spay/neuter, Da2PPL, Bivalent Flu, Bordetella, Rabies (age appropriate), Worming, Heart Worm Test, Flea and Heart Worm Prevention and Microchip. As always, all animals receive a dental cleaning and polish with any necessary extractions. All CCAWL residents are also groomed. We accept cash, credit or debit only. Located at 3858 state Route 56, Mechanicsburg, OH 43044, CCAWL fall-winter hours are 10 a.m.-4 p.m. Saturdays; closed Sundays/Mondays; 10 a.m.-2 p.m. Tuesdays; 10 a.m.-5 p.m. Wednesdays; and 11 a.m.-5 p.m. Thursdays/ Fridays. A list of needed supplies, volunteer info and upcoming events may be found on our webpage and on Facebook. Check out our Facebook page, Adoptapet.com, and petfinder.com to find your new furry best friend/family member. The nonprofit CCAWL rescue group was created to establish and operate an animal preserve, pet cemetery, dog training facility and rehabilitation home for unwanted pets. The CCAWL also provides a low cost Spay & Neuter Clinic that is open to the public. Come during business hours to pre-pay and fill out a surgery information paper and release form. At that time, you will be scheduled for a surgery date. The CCAWL only accepts cash, creditor debit cards. https://www.urbanacitizen.com/wp-content/uploads/sites/36/2019/01/web1_LeagueDog-1.jpegGracie is a 3-year-old, 48.6-pound fun-loving dog ready for adoption at the Champaign County Animal Welfare League. 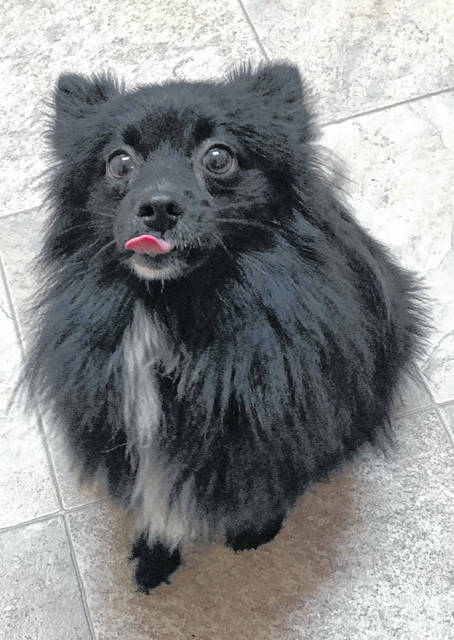 https://www.urbanacitizen.com/wp-content/uploads/sites/36/2019/01/web1_BarelyDog-2.jpgLouis, a one-year-old Pomeranian, is interviewing potential owners at Barely Used Pets. 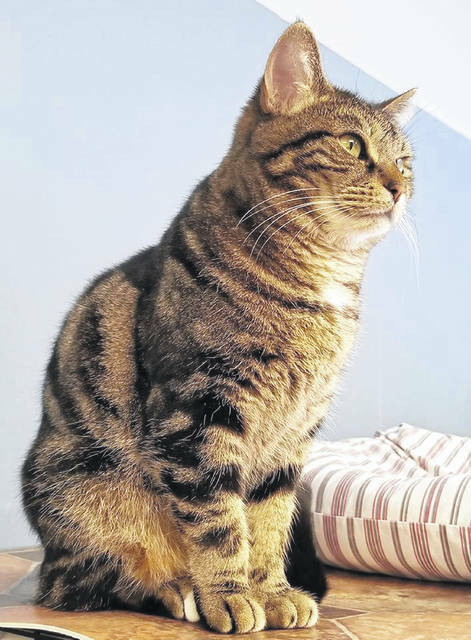 https://www.urbanacitizen.com/wp-content/uploads/sites/36/2019/01/web1_trish.jpgTrish, age 4 1/2 years old, is a quiet sort, but likes attention and is quite ready for a home of her own. Visit her at PAWS Animal Shelter.